With screw driver and pliers, straighten and remove cotter pin. Wiggle foot peg up and down as you remove the clevis pin. 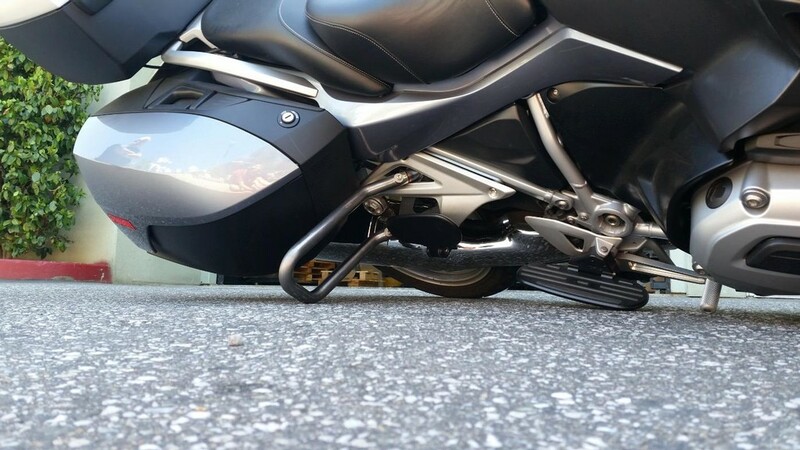 The foot peg is under some spring pressure, be careful as you pull out the pin. Save all stock parts, never throw away original parts. Check to see that neither of the two ¼-20 nylon tipped setscrews are protruding from backside of mounting bracket. Fit mounting bracket into clevis on footrest plate and install clevis pin. At this point the Sportboard will have some back and forth movement. Orient clevis pin so that the cotter pin hole is facing rearwards. It will be easier to install the bow tie cotter pin after adjusting the setscrews in the mounting bracket. Using the supplied 1/8" Allen wrench, tighten the two setscrews evenly to take out any play and align the Sportboard parallel to the motorcycle. Tighten each setscrew firmly and evenly with fingers only. Do not use pliers or a cheater on the Allen wrench. Insert the end of the bow tie cotter pin into the clevis pin and push forward until it "CLICKS" into position. 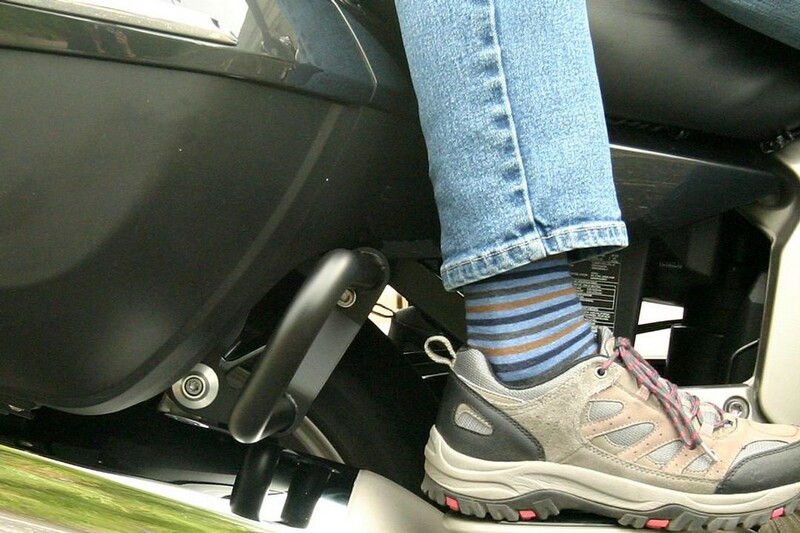 Check to make sure that the brake and shift levers are fully functional and that the side and center stand are unimpeded. Check the Sportboards to insure that everything is tight and functioning properly. Remove the three screws and the top plate. 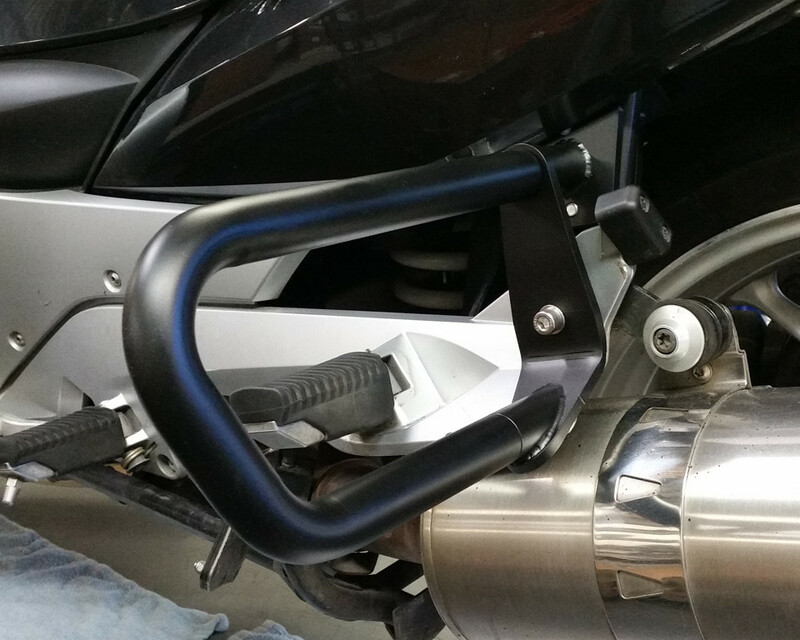 Install the bottom plate on the side stand. Put top plate on and install the three screws.